Do you love to experience curated holiday boutiques with unique, hand-crafted and one-of-a-kind items for your Christmas or Hanukkah gift giving needs? 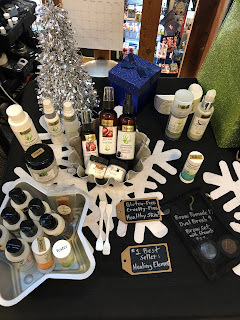 Here are three places you can come see me in person and try all of my holiday scents (Perfectly Pumpkin, Sugar Petals, Gingerbread Spice and Apple Spice) in person. This is also a wonderful way to see all of the gift sets face to face as well. Not only will you be able to peruse holiday ideas from OneHope Wine, Pampered Chef, Wildtree Organics, Lemongrass Spa Products, handpainted items, Norwex, Premier Jewelry and several other companies, but when you attend this event in person, you can enter yourself for a chance to win a $250.00 Visa Gift Card. Isn't that amazing? The High Point Academy Winter Craft Fair is a must-attend seasonal event, especially for all those looking for holiday fun, gifts, and one-of-a-kind wares. A wide variety of exceptional goods will be offered for sale from craft vendors and artisans from throughout the Front Range. Attendees may participate in a penny raffle with terrific prizes, such as Arapahoe Basin lift tickets, Georgetown Loop Railroad family four pack, Denver Theater of Performing Arts tickets, and much more. Children will have the opportunity to take pictures with two characters: the “Snow Queen” and her “Snowman,” both of whom like warm hugs. They may also participate in free, kid-friendly crafts. Join several solo-preneurs to complete your holiday shopping, all while enjoying a fun and festive atmosphere at Switchboard Networking Boutique. 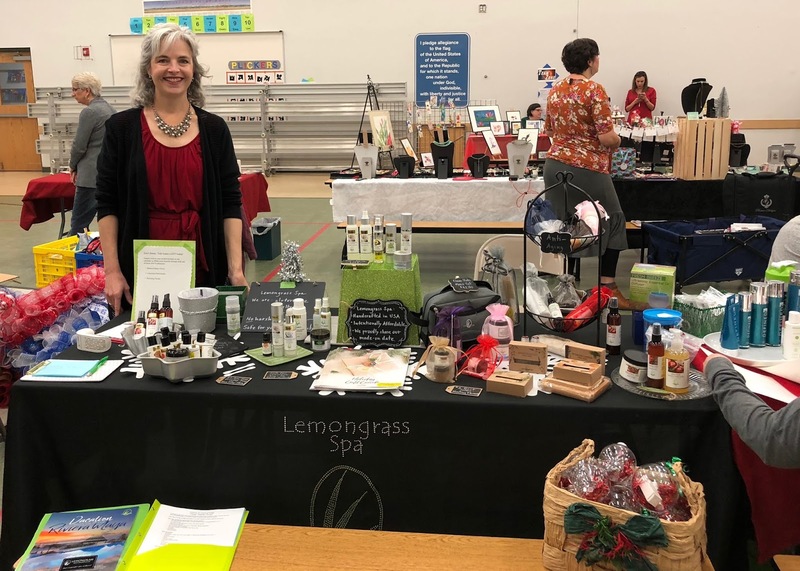 This event will be short and sweet (only two hours long), so be sure to come at the beginning of the evening so you will have plenty of time to meet each vendor and get the personalized help you desire on your holiday list. Join a wonderful group of entrepreneurs as we showcase our favorite holiday items for you at a cozy spot called: My Meeting Place. Come enjoy a relaxed environment without any of the hassle of the shopping mall. We will have so many gift opens for you. You can also find organic pet treats at this venue. Come support local businesses for a quick stop and shop on a THURSDAY! Get your holiday shopping out of the way before the weekend. Vendors include Damsel in Defense, Pure Romance, LulaRoe, Pampered Chef, Thirty-One Gifts, One Hope Wine, Lemongrass Spa, Norwex and Threads Worldwide. Each company gives back to an organization or local communities in need! Pick up something good for the pets under the tree right next door at Pet Wants! As shared, if you prefer to make a private appointment with me and would like some personal shopping assistance, I'm happy to help. Don't you agree that every job we have experienced can influence the work that we are led to pursue? My previous mission as a teacher and Human Resources Director led me to my path today, which allows me to stay home with my kids and share my story of why it matters to choose natural products for our homes and families. My mission today is to share with others how important it is to use safe and healthy products on our largest organ, our skin. I enjoy sharing in small groups or at a speaking engagement. I also thrive from developing leaders on my direct sales team across the country who share Lemongrass Spa Products successfully in their community. 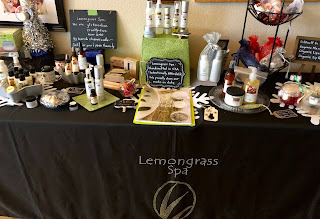 It is unique in our spa products industry to provide handmade and natural products with a freshness date indicated on the bottom. Due to the fact that our products are never sold on store shelves, we are able to leave out the harsh chemical preservatives. I enjoy spending my free time with my family. My deepest desire is to make a difference in others lives.